The narrow Isthmus of Panama became a melting pot mainly due to the construction of the Trans-isthmian Railroad in 1855 and the Panama Canal at the turn of the 20th Century. People from many parts of the world swarmed to Panama in search of a better future and a dose of adventure in the process. The Chinese community played an important part in the construction of the waterway and in the shaping of the country as well. Panama, because of its historical reliance on commerce, is above all a melting pot. This is shown, for instance, by its considerable population of Chinese origin. Many Chinese immigrated to Panama from southern China to help build the Panama Railroad in the 19th century; their descendants number around 50,000. Starting in the 1970s, a further 80,000 have immigrated from other parts of mainland China as well. Chinese are hard-working people. Gradually they have become owners of small mom-and-pop stores, dry cleaners and restaurants. El Chinito de la esquina (the Chinese on the corner) referring to a neighborhood store, is a common expression in Panama. 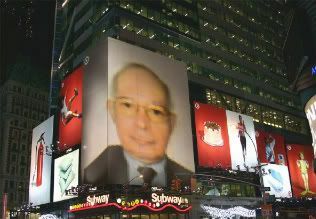 They are appreciated by the Panamanian people and contribute significantly to the progress of their host country. Below is a picture of a young Chinese woman with a warm smile cutely wrapped in red. 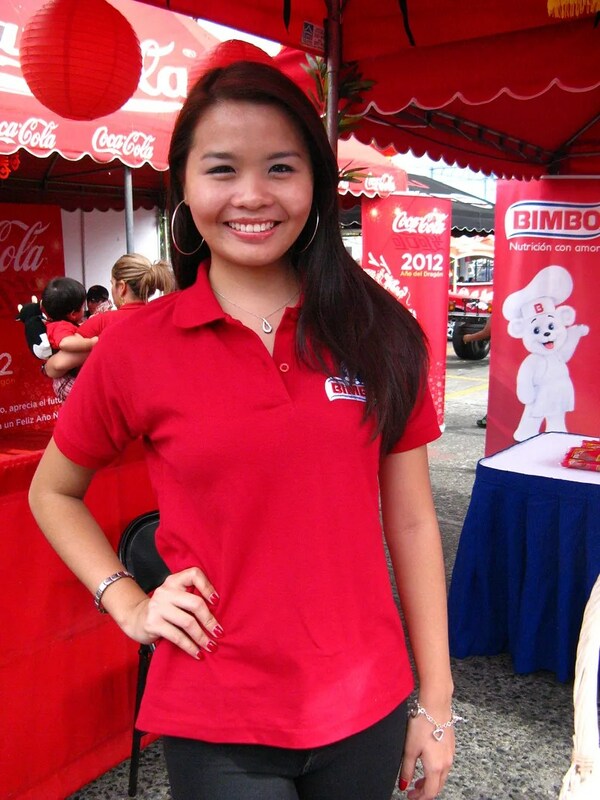 She was promoting Bimbo products at a Chinese Lunar New Year celebration in Panama City, Panama. Take a look. Snapshot of a pretty young Chinese woman posing for the camera displaying a warm friendly smile all wrapped up in bright red color. Photo by ©Omar Upegui R.
What a pretty girl! And what an astonishing discovery I made. I had to look up Bimbo products because – well, because when I was growing up, a “bimbo” was a not-very-bright woman who might or might not have had integrity! What I learned is that the Spanish baking corporation not only sells its products in Mexico and Central America, it also now owns many of the brands which I buy regularly – Thomas English Muffins, Mrs.Baird’s bread (a longtime Texas brand), and one or two others I buy. I’m really surprised. I’m sure everyone in the food industry and grocery chains knew it from day one – but now I know! The Bimbo brand is very popular in Panama. We enjoy Bimbo integrated bread for breakfast. It’s good for its fiber contents. And now you learned something new today. We don’t mind saying, Mrs. Baird’s bread was long a quality product. Now, it’s like Bimbo Mexico, it has an indefinite shelf life and tastes like Mexican loaves. Buy some and let it sit a month…no mold! Never understood why Mexicans ate stale “pan tostada”, it’s just dried out sliced bread that Bimbo repackages. We hear Bimbo is one of the largest bakeries, perhaps in the world. Nothing you’ll ever buy packaged by Bimbo is anything similar to fresh, it’s not even day old, it’s crap. Yeah, that’s right. Your mother in law was correct. Foreign words can be so confusing, that sometimes it can cause embarrassing or hilarious moments.